Long before mixed martial arts became a worldwide phenomenon and Ultimate Fighting became a household name, Bruce Lee created jeet kune do, a realistic combat hybrid that incorporated the most useful elements of kung fu, boxing, and fencing. Here the legendary fighter demonstrates the most effective methods for retaliating against surprise attacks, grabs, chokes, multiple attackers, and armed assailants. 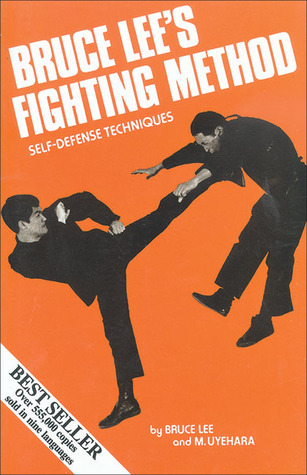 Because Lee believed that the best defence is the most simple and effective, his no-nonsense counters include eye gouges, groin kicks, head stomps, and other techniques that aren't taught in most studios.This first volume in "Bruce Lee's Fighting Method" contains detailed illustrations and vintage photos capturing Lee in his prime. The essential series, compiled and organized by his close friend, Mito Uyehara, is the perfect companion to Bruce Lee's classic text, "Tao of Jeet Kune Do". "The Bruce Lee's Fighting Method" series is an integral part of the Bruce Lee canon and a necessary addition for collectors and martial arts enthusiasts alike. Reveals how the iconic warrior attained his legendary speed, power, and footwork. Included are practical, effective stretches for increasing flexibility, abdominal exercises that can be performed anywhere, and hard-hitting advice on running, biking, skipping rope, and shadowboxing. 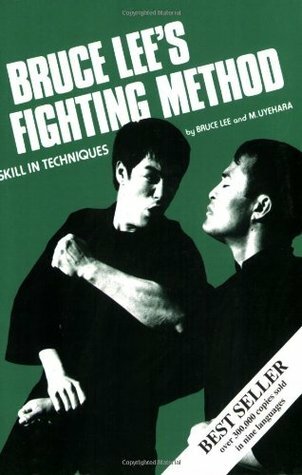 More than just a fitness guide, this must-have manual also delves into the fundamental aspects of Bruce Lee’s revolutionary combat philosophy, jeet kune do, including how to strengthen your fists with iron-palm training, get the most out of your punches and kicks, camouflage your attacks, develop the footwork to evade almost any blow, cover distance rapidly, escape from a tight corner, conserve energy for countering, build muscles without sacrificing speed, fix flaws in your stance, and improve your peripheral vision, leverage, and timing. Bruce Lee teaches you how to develop skills in body movement, hand techniques, kicking, parrying, striking vital target points and sparring. The legendary fighter teaches how to perform jeet kune do's most devastating strikes and exploit an opponent's weaknesses with crafty counterattacks like finger jabs and spin kicks. In addition, Lee breaks down the attributes that make up the ultimate warrior and reveals how to develop the proper tactics and attitude for victory. 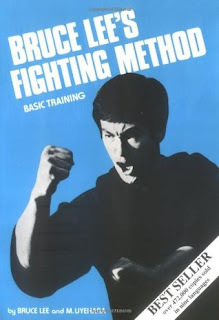 As the fourth and final volume in the "Bruce Lee's Fighting Method" series, it contains detailed illustrations and vintage photos capturing Lee in his prime. This essential series, compiled and organized by his close friend, Mito Uyehara, is the perfect companion to Bruce Lee's classic text, "Tao of Jeet Kune Do". 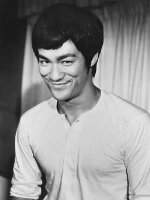 Bruce Lee flashed like a meteor through the world of martial arts and motion pictures. Then, on July 20, 1973, the iconic figure died in Hong Kong at the age of 32. Lee began his martial arts studies with wing chun, under the tutelage of the late Yip Man. Because of his intense training and study, he was eventually able to refine, distill and mature into a philosopher, technician and innovator of the martial arts. 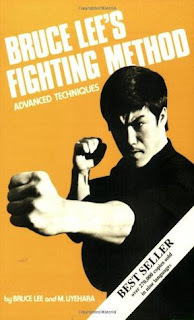 After intensively studying various martial arts styles and theories, Lee developed a concept that he later called jeet kune do, the way of the intercepting fist. Jeet kune do was born not only out of his physical training and personal research--his martial arts library contained more than 2,000 books--but his formal education as a philosophy major at the University of Washington, Seattle, as well. Lee also combined his martial arts expertise with the acting skills he developed as a child in Hong Kong, starring in several motion pictures: The Big Boss, Fists of Fury, Way of the Dragon and Enter the Dragon. A longtime aikido practitioner, Mito Uyehara founded Black Belt magazine in 1961 and served as the owner for more than 30 years. During Black Belt's early years, Uyehara studied jeet kune do under Bruce Lee. Item Reviewed: Bruce Lee’s Fighting Method - Bruce Lee 9 out of 10 based on 10 ratings. 9 user reviews.